Lithium batteries are much more efficient than lead acid batteries and the PROGolf 12V 16AH 18 Hole Lithium Battery is a superior alternative. The compact, lightweight design of this battery ensures ease of movement when transporting to and from the golf course. Complete package includes battery, charger, connector and bag and the 16AH will cover up to 18 holes of Golf dependant on the golf caddy’s motor (single or dual). 5 Year extended warranty is only available if you complete and return your warranty registration card. 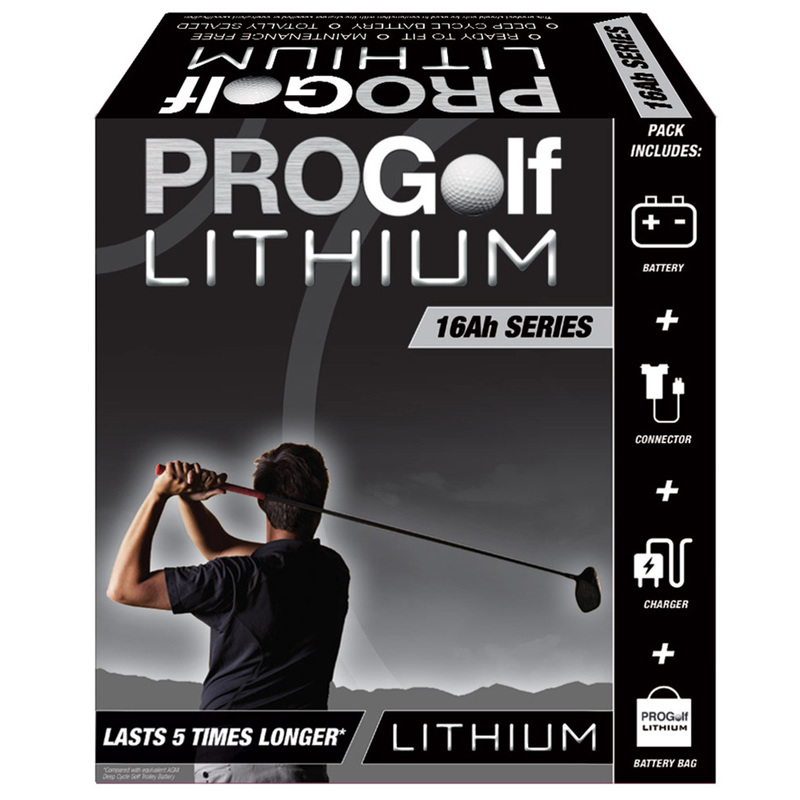 The PROGolf 12V 16AH 18 Hole Lithium Battery comes with a standard 2 year warranty on the battery and the charger, the extended warranty is only applicable to the Lithium battery. 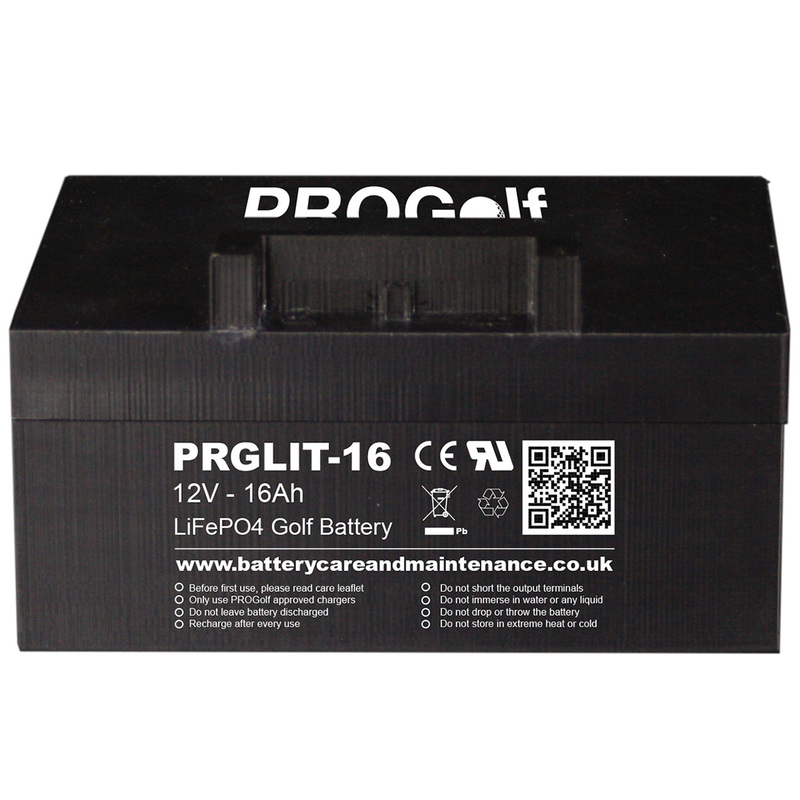 Regardless of your current electric trolley the PROGolf 12V 16AH 18 Hole Lithium Battery will make it more manageable and reliable and will fit into any electric golf trolley battery tray.